Bless my VIP. 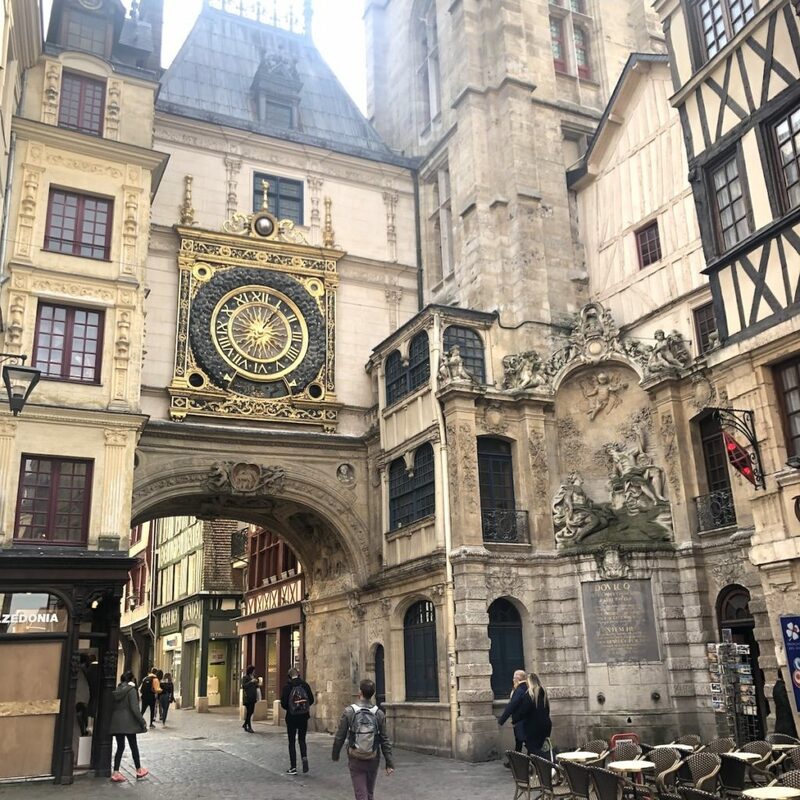 He encouraged me into taking a mini break to Rouen – 24 hours in fact – while the kids were on holiday with their grandparents – and I'm so glad I agreed. The idea was further encouraged by my friend Kerry (who loves mini breaks too!) and it really was what I needed after the last few weeks. Life indeed has all been a bit of turmoil recently (it’s a long story which I will write about soon), and I was suffering from ‪cabin fever. VIP booked the holiday online. He spent the year abroad while studying French in Rouen and thought I'd like it, as it's very picturesque. VIP booked the Le Shuttle crossing on the Le Shuttle website which was really easy to do. The site gives you a list of crossing times and prices and they also offer something called Flexiplus where you can go to their lounge and have free refreshments. We paid £31 each way (£62 return), which was exactly the same price for a day trip, so we thought that we might as well stay the night and make the most of a mini getaway. The trip to Folkestone took about an hour from where we live and you have to be ready to board the shuttle 45 minutes before departure time. We went for a departure of 7.20am (meaning we were up at 5am) and the shuttle departs every half hour, with a journey time of just 35 minutes. 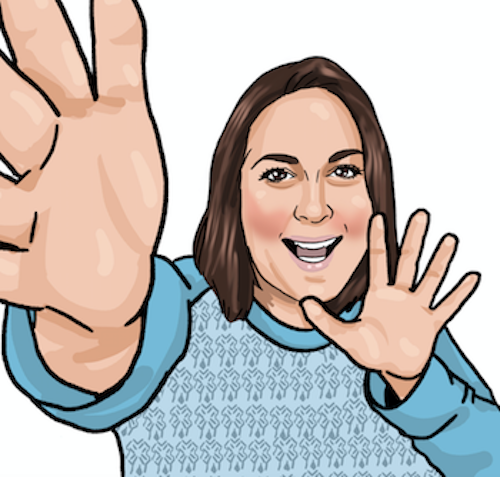 I’m a little claustrophobic so was glad of the short journey – and busied myself on my phone to while away the time. The first thing you notice about France when you start driving is the state of the roads – they are so smooth and pleasurable to drive on. But the annoying thing is that there are tolls on the motorways. Being novices we didn't have a clue what to do… So let me tell you what I know. The first toll you come to on the way to Rouen is as you get on get on to the A16 and you just take a ticket from the machine. When you pull up to the barrier after about 10 seconds it will dish out a ticket – take it and the barrier will open. At the next toll machine we paid attention to what the car in front of us did! You put in the toll ticket that you collected from the first toll and then you pay a fee. The fee for us came to €8.40. I had a €5 note in my hand but luckily you can pay by card too so that's what we did. We didn't even have to put our pin in – the barrier lifted and off we went! VIP booked the hotel via his ‪hotels.com app which he described as “seriously easy to use”. 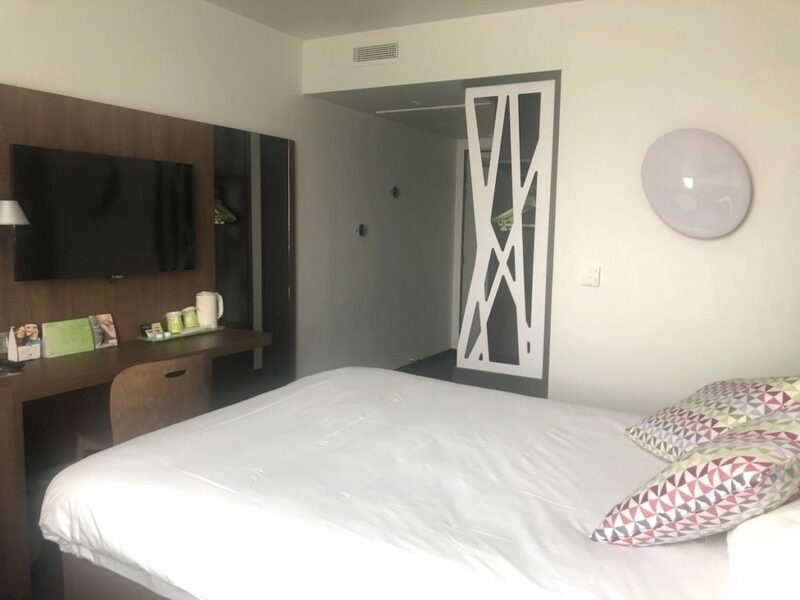 There was a lot of choice in terms of location and budget, but he chose the Campanile Rouen Mermoz Hotel, which is located just outside the city centre – about a 20-minute walk into town. The hotel is about a two-hour drive from Calais and for one night’s stay it cost £59 for the two of us. 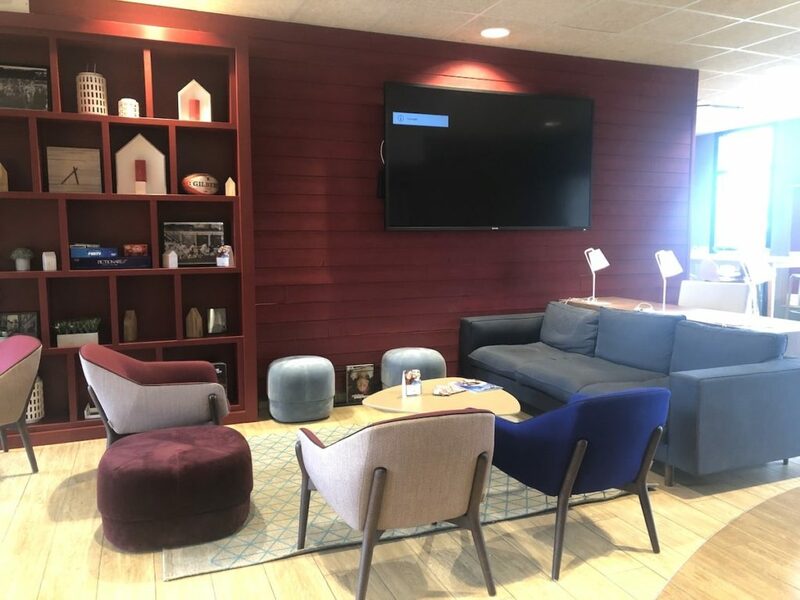 Campanile Rouen Hotel is a new two-star hotel that was built in 2017 and facilities included tea and coffee-making facilities, a flat screen TV and free wi-fi. There is also free parking, which is one of the main reasons VIP chose the hotel; most other hotels charged up to 15 euros a day for parking. What I liked about the hotel (which was located adjacent to a rugby stadium!) was that it was clean, bright and cheery. Although it was no-frills, basic accommodation, the most important thing to me is cleanliness so it ticked all the boxes on that front. The English TV channels were rather limited (a choice of CNN and BBC News), so if you’re relaxing in the hotel in the evening, bring a book or something other form of entertainment. The only other thing that would have been great was a wider choice of tea/coffee refreshments in the room – and the milk quantity (just two little pots) could have been better. The bed was comfortable, but I think it was either a double or queen size, so felt a little cramped (I’ve been spoilt by my super king size bed at home!). I had a sound sleep though and after many hours of walking round Rouen, I had a super early night and a marathon ten hours sleep! When we arrived at the hotel (at around 11.20am French time), we were told our room would be ready at 2pm, so we parked in the hotel’s free car park and decided to take a walk into the city. Rouen is located in Normandy. It's home to France's tallest cathedral and the city has also inspired many impressionist artists such as Monet, who painted Rouen Cathedral at different times of the day. In fact, many artists’ works can be found at the Musée des Beaux Arts (an art gallery) in the city. En route into the city we stopped off at Paul (a bakers) for a bite to eat. It cost €13 for a quiche and a latte plus a Heineken and a salmon & avocado baguette. The first thing that struck me about Rouen when we got into the heart of the city was how pretty it was. The medieval architecture was so picturesque and there were blossom trees that lined the cobbled streets everywhere you looked it seemed. Add to this the plethora of little cafés, chocolate shops, pâtisseries and antique shops; I was in my element, drooling over their fantastic creations. There was plenty see and – if you wanted to – also plenty to do. VIP and I spent the next few hours walking around the streets, admiring the architecture and soaking up the sun. We visited the site where Joan of Arc was burnt at the stake. There was a huge cross at the site, surrounded by a pretty garden and ruins of what must have been a small church. Amongst the gardens, close to the cross was a single flower, which was quite poignant. I remembered that there was Maisons du Monde in Rouen (one of my favourite interior shops), so using maps VIP discovered it was a few minutes’ walk away (in Rue Aux Ours), so we went for a browse. I ended up buying a peg board (I've always wanted one) for half price in the sale, which cost €7.50! 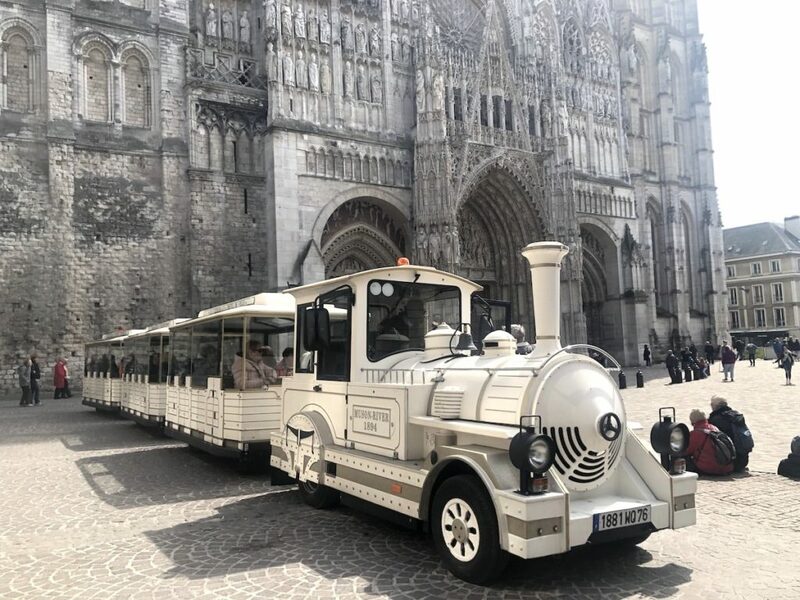 We walked up the Rue du Gros Horloge (the most famous street in Rouen because it is home to the medieval clock of the same name) and ended up catching Le Petit Train in Cathedral Square, which took us on a 40-minute journey around the city. 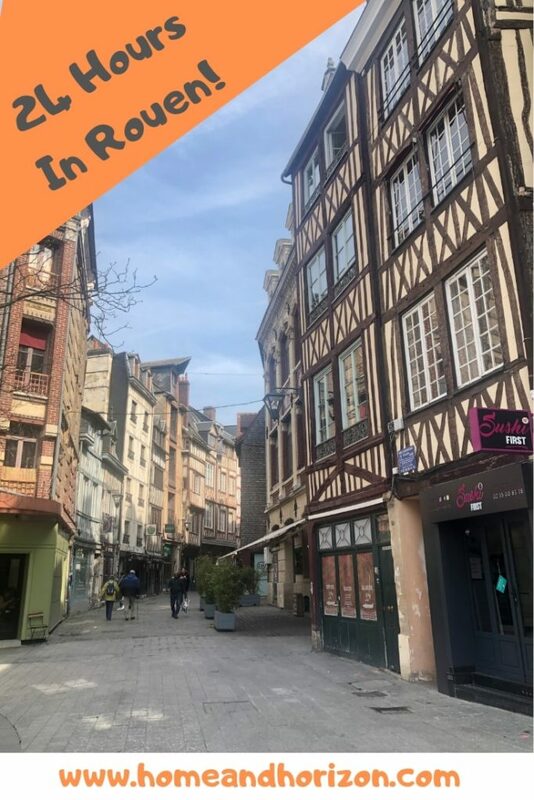 It cost €8 per person and is a great way to get your bearings in the city – and find places to go back to, such as Auzou (a well known chocolate shop in Rouen). The train, which departs every hour, offers a commentary – both in French and English – giving its passengers a mini history lesson along the way. Rouen has over 2,000 years of history and is still a major sea & river port to this day. Under the famous clock tower there is a carving of a Shepherd watching his herd – and that sheep are one of the symbols of Rouen. When the houses hang over the street in Rouen that means that they were built before 1520, as it was against the law after this date. There are about 40 remaining houses hanging over the streets that still exist. Rouen was one of the most important cities in the middle ages as it was a very wealthy centre and known for its textiles. Rouen is on the Seine – the same river that runs through Paris. After the train ride, VIP and I returned to the famous chocolate shop (naturally) where he purchased Les Larmes de Jeanne D’Arc (which translates as Joan of Arc’s tears). They were fairly hard to bite into and had some sort of nut in the middle – not my cup of tea, but VIP enjoyed them. 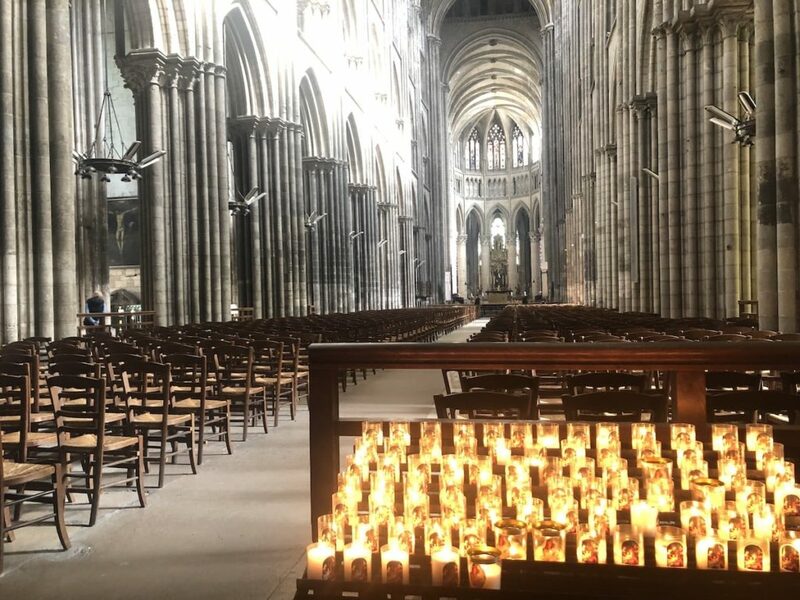 We continued walking round the city while I took 100-plus photos and decided to visit Rouen Cathedral, which was absolutely breathtaking inside. We marvelled at its sheer size and architecture, before deciding on a quick drink at Irish pub, O’Kallaghan’s. The reason we chose the venue was because some 22 years earlier, VIP spent a year in France as part of his French degree – and he used to frequent the pub with the friends he made out here. It was a little trip down memory lane for him, which was lovely. By this time, we were both hankering after Northern African cuisine, of which Rouen boasts a number of restaurants. However, none of the restaurants opened until 7pm – and it was only 5pm at this point. We made the decision to grab a bite to eat at Holy Moly, a gourmet burger restaurant, before getting an Uber back to the hotel – which cost just €7. Once back at the hotel, I had a shower, before climbing into bed to watch a bit of telly. It was then that we discovered there had been a huge fire at Notre Dame Cathedral in Paris. It was so sad, especially when the spire collapsed – it would take years to rebuild. The following day (after a marathon ten hours' sleep! ), we were down at breakfast for 8.30am and enjoyed a selection of cheese, hams, jams and pastries (you still can’t beat a decent French croissant with jam). Breakfast was continental-style and also offered cereal and yoghurts, plus eggs. We filled our bellies, before heading off on a two-hour drive back towards Calais. 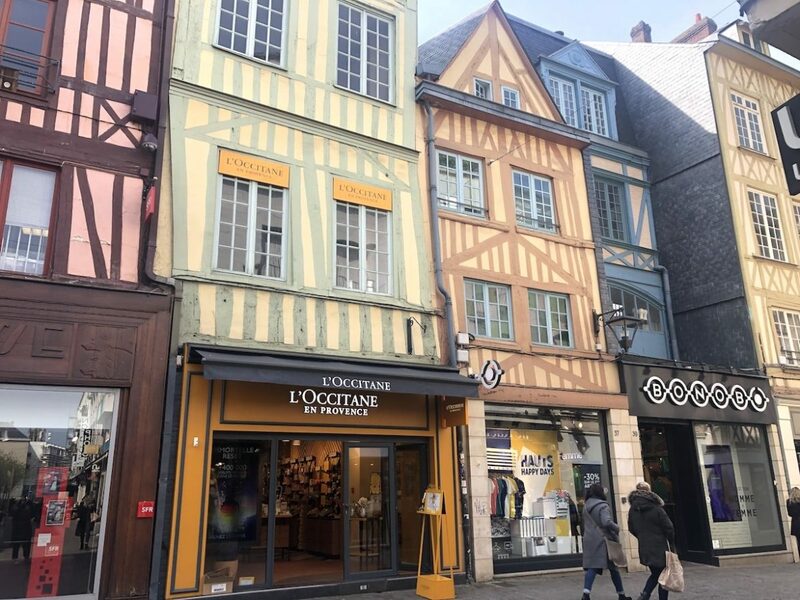 The weather wasn’t great first thing, which suited us perfectly, as today would be a day of shopping – and we had our sights on Cité Europe – and my very favourite shop of all time in France – GiFi. Whenever I am in France I always insist on two things (1) Buying French soap as it smells divine (I always get le petit Marseiliais- Fabrication à l’ancienne), and visiting GiFi. GiFi is a quirky interiors shop on a very grand scale. 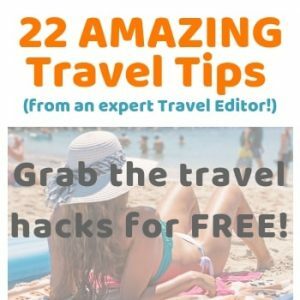 They have some amazing finds in there – things that you can’t necessarily find back home – and it’s also amazing value for money. So when I go, I can usually spend hours browsing the aisles. And that’s exactly what we did, picking up a number of delights while there. 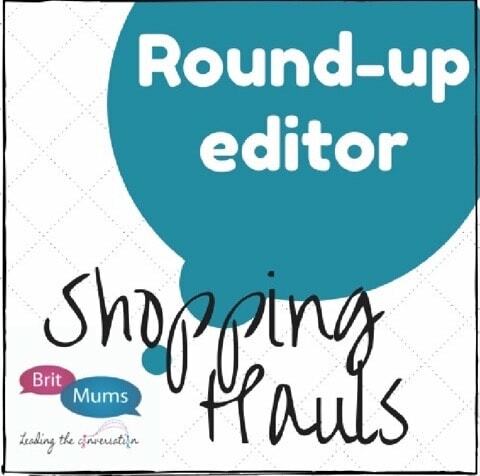 Next, we headed to Cité Europe – and more specifically to Carrefour – where I had a mini shopping list which comprised of lots of French soap, paper straws, loads of wine (three boxes for VIP) and some gifts for friends. The journey back home was as easy as our journey out here, and I’m so pleased that we took a couple of days to ‘get away from it all’. Popping over to France is a great idea if you’re looking for an affordable getaway that doesn’t involve flying and is easy to get to. If you’ve already taken in places like Le Touquet and Paris, then perhaps try a quick getaway to Rouen. It’s a change of scenery, a change of pace and will leave you recharged and rejuvenated, if that’s what you’re looking for. 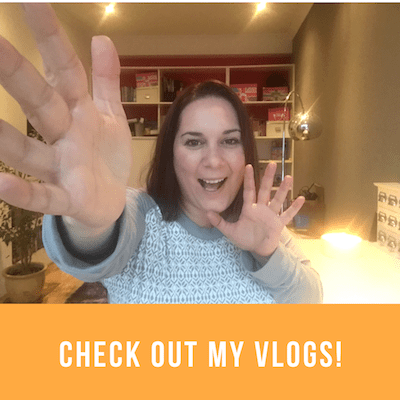 Garden Glory: What I Get Up To In My Green Patch! 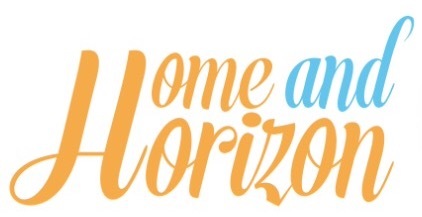 So lovely to escape for a mini break, sounds like you picked somewhere beautiful to visit. 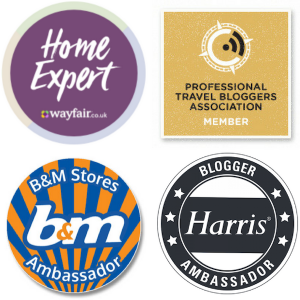 Kara recently posted…How Tradeshows are a Great Investment!